Whether you are a rock fan or just some Hip-Hop lover, you know for sure that music without that bassboom is just noise. 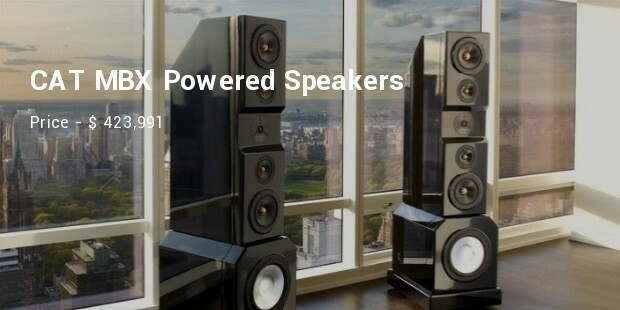 Speakers booming with great bass, the kind that bring out the lyrics in a good mix and match with the beats have been in the market for quite a long time, even before Steve Jobs thought of establishing an IT Company and Bill Gates started dreaming about Microsoft Company. 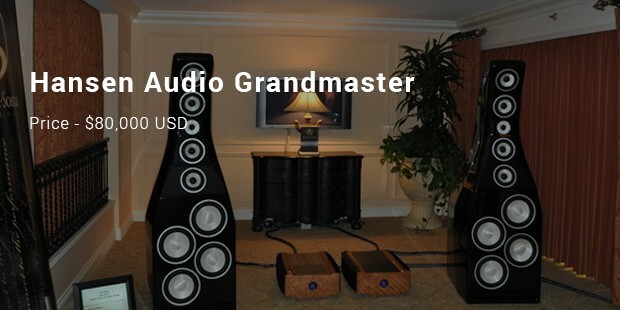 The most popular, and high quality of the ancient days and current time speakers are known to be notoriously expensive, attracting prices that you would never imagine spending. They are a custom build, and each of these speakers is known to weigh 5 tons each with 22in subwoofers, 9in woofers and 1.25 tweeters. One also needs to consider the fact that the enclosures are more than 8in thin and build with the help of CAT’s own secret lamination process. 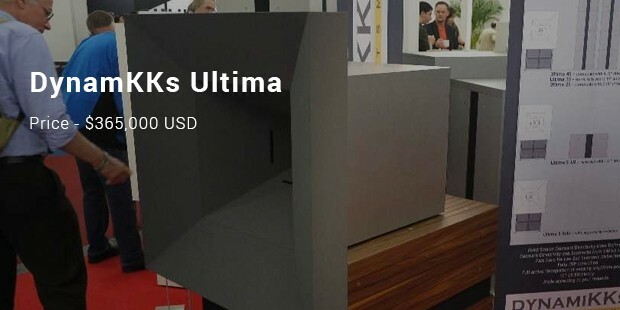 The cost price tends to fluctuate in the region of half a million dollars and trust for the matter of fact it requires seriously some amount of space considering the height of 230 cm. one of the major features is the midrange horn that measures 2.m high. 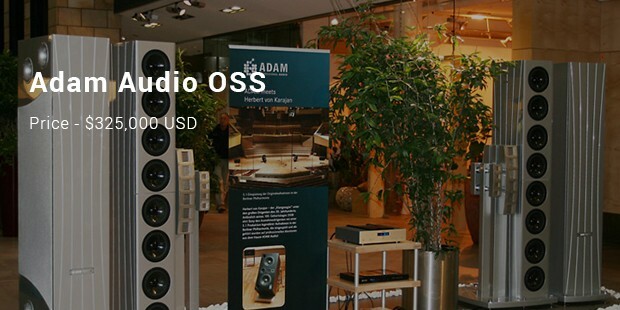 It is a staggering 800 Kg speaker and it was first spotted at the Munich High-End show. This Japanese company was founded, owned and run by Kanemori Takai and they use sand filled aluminum cones for this high-end model. How many times has quality music come to your mind? A thousand times, or perhaps even more than that. 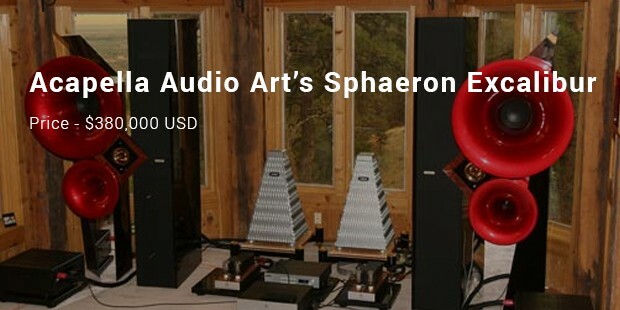 Now there is that loudspeaker that you don’t want to buy unless maybe you are a millionaire or want to start some big recording studio in the states. 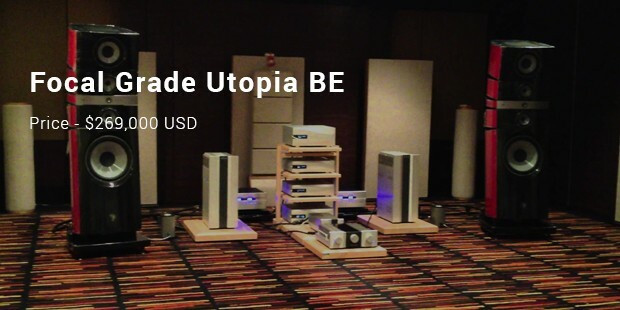 I am talking about the Focal Grade Utopia BE Loudspeaker, which attracts a notoriously good amount. 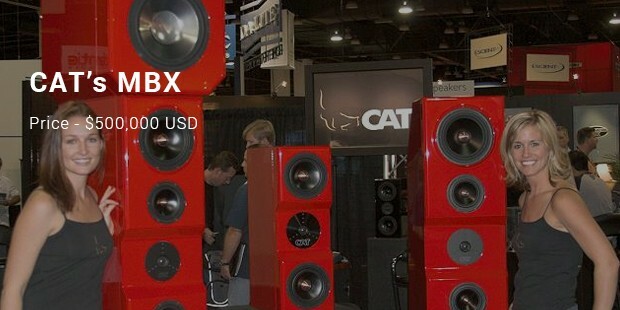 The $269, 000 USD speaker is a popular music and movie production item, which looks just as good as those figures on the price tag. First, you will look at this one and fall in love with it. Come to the price, however, and if the heart doesn’t skip a bit then probably your mouth will remain wide open. 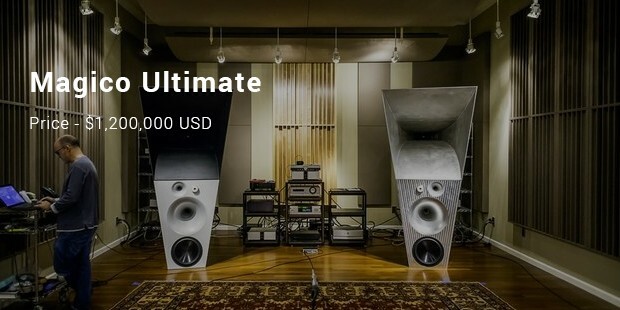 A simple look at the $200,000 USD speaker does not speak much, but the quality and a deeper look into the make and feel of the music giant device gives you the assurance that if this is the price, then it’s obviously worth it. You want to buy this giant! Ooh my God! So maybe will get this one someday. Magico Ultimate is unique. Perhaps the design alone will astound you. It has an interesting price tag; $1,200,000 USD to be precise. If you love and want real music and have the money to burn, you should get this, and you surely will have an own musical world of your own few people on earth enjoy. The company CAT specializes in custom made speakers which are much better than the studio quality of it. They are programmed with the layout of the room in mind and build for the surroundings with maximum subtly. 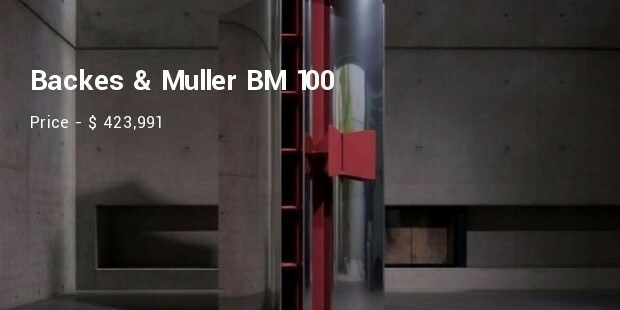 It is made for rooms that are at least 40 mA2. 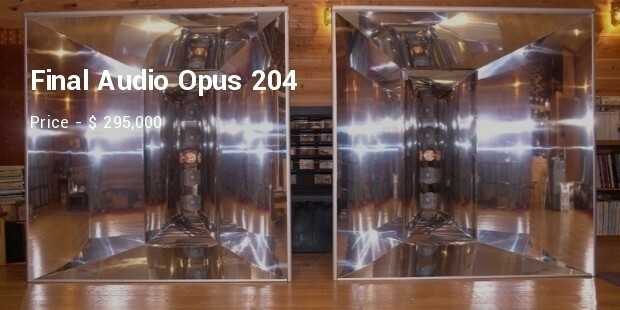 There is a three-dimensional sound, and it can handle 1000 watts for 10ms with no dimension. They are made in Germany and are pleasing to the eyes as well as to the ears. This was discovered by the Ozone wanderer. It includes the single speaker and all of them wireless that is available in a beautiful wrap that is black or white. It ensures full CD quality and has the range of 1000 meters in the same room. It features 60 drives; there is a digital sound processing system, and there is 12 builds in amplifiers. The OSS in it is a sonic powerhouse. It is an 8.5-inch tall speaker system which has a frequency response from 18 MHZ to 50 MHZ. This emerged in the earlier part of the 1990’s, and it has made its presence felt in the audio market. It has also gone on to gain some solid dealers in the United States; that is not a mean feat for a Canadian speaker company. 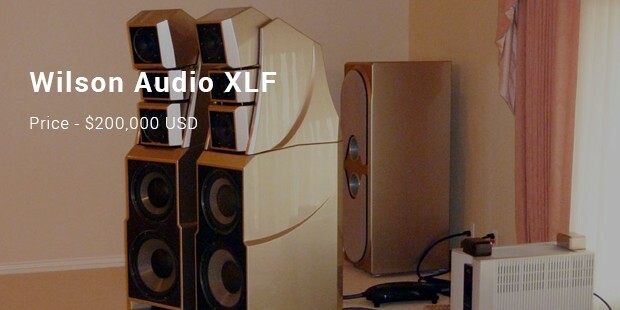 Perhaps the speakers you have come by aren’t this expensive, but you would surely judge, by walking into the selling store and listening to them produce that your favorite beat, that they indeed deserve the price tag. Crazily priced. Yeah, I know. But if you really have that big money, or an a highly paying job that water your bank account with hundreds of thousands of dollars of bucks, why not get one?